Why is it that soaking in a bath with Epsom salts relaxes the body so deeply? It’s the magnesium in those salts! Magnesium is the relaxation mineral, responsible for six hundred or so critical processes in the body, including helping the muscles relax. So it makes sense why soaking in a bath with this mineral is so calming. For decades people have added a few handfuls of magnesium-rich salts to the tub to ease sore muscles or relax an upset child. Epsom actually refers to the name of a town in southeast England where the mineral-rich spring waters were boiled down and used therapeutically and popularized. Today many blends of salts and magnesium are available, but it can be hard to determine which contain pure, high-quality ingredients. 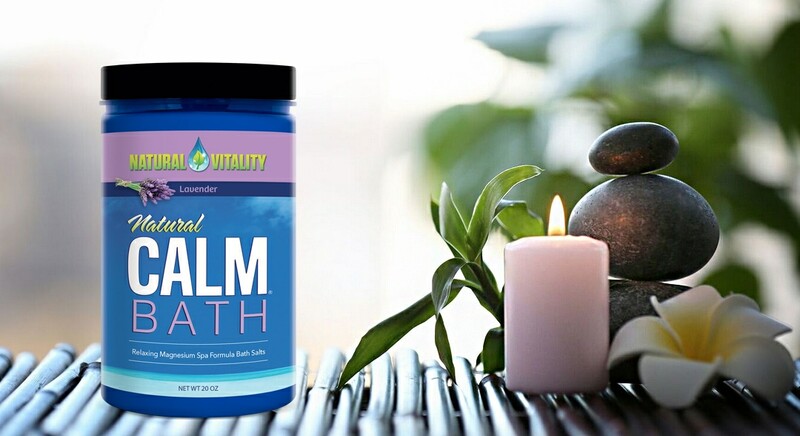 We like Natural Vitality’s Natural Calm Bath because it contains food-grade ingredients: Natural Calm magnesium and pristine mineral-rich Brazilian gourmet sea salt. This means you are giving your skin—your body’s largest organ—minerals that are of a quality good enough to eat. You can add Natural Calm Bath to your tub for post-workout recovery, to help a child relax at bath time, or light some candles, play some relaxing music and create an at-home spa experience. Opt for the lavender-scented Natural Calm Bath if you want the added benefit of aromatherapy. Do you have a favorite bath-time ritual? Please share it with our readers.